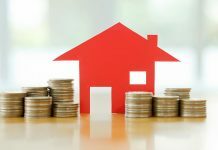 Roohome.com – Bedroom themes are the important think that you should plan perfectly. The casual theme is too bored for couples. They need the comfortable retreat in a cool bedroom. 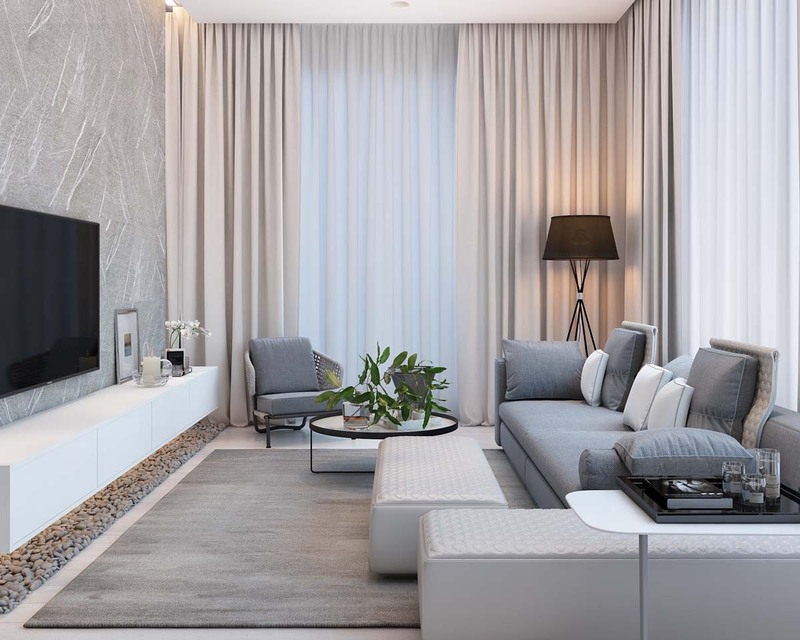 We would like to give some ideas for making a modern interior design. 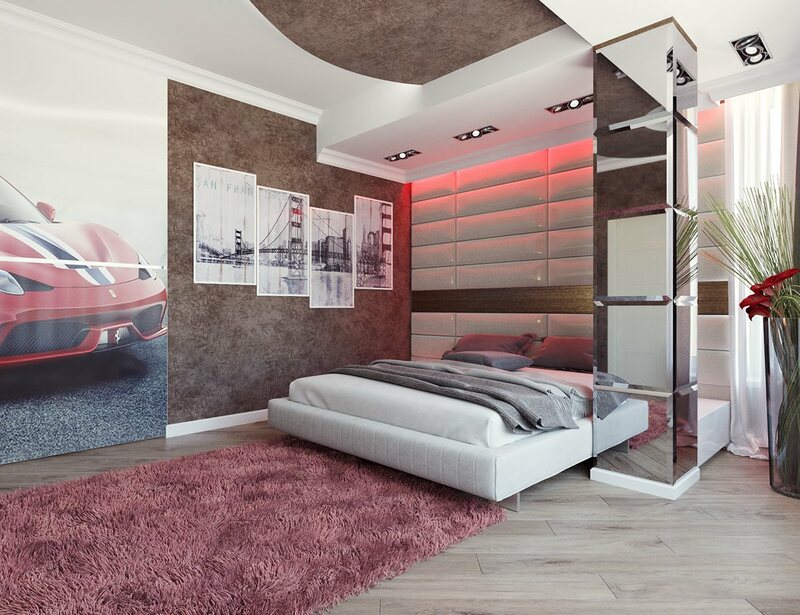 The stylish bedroom designs are perfect for applying in your room. 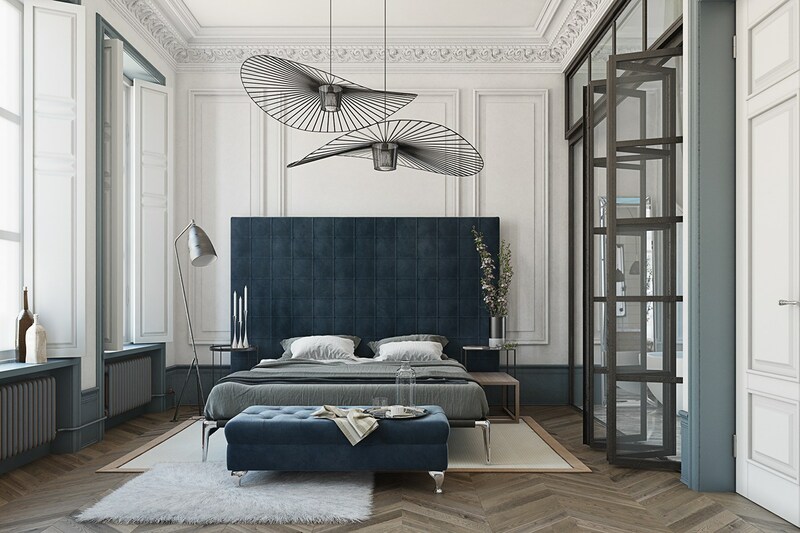 Some famous designer below is a success in making cool bedroom design that can make couples feel like newly married couples every day. They Appear the sweet accents that can make your room more romantic. It is the simple thing that you can follow to apply in your bedroom. Some couples have different style and taste about the comfortable and romantic feel. Based on that statement, we give some ideas from the different designer that might be fit with your style. There are 3 kinds of the stylish bedroom design that interesting and easy to apply. 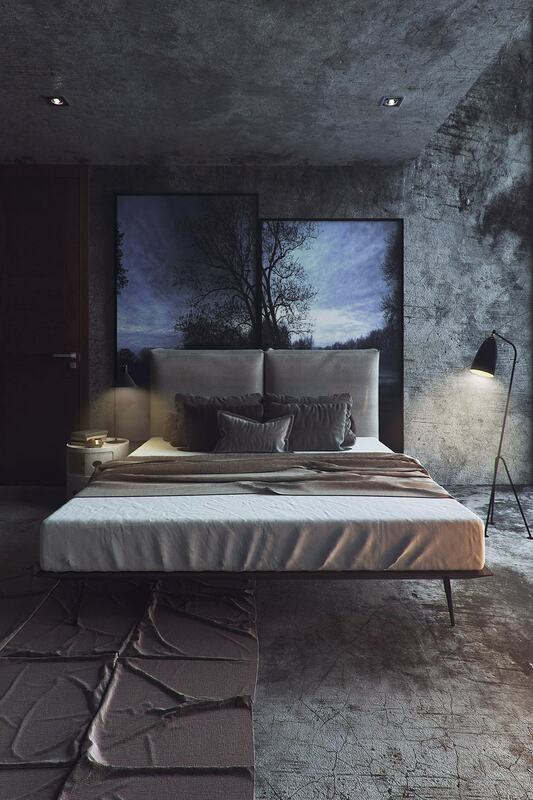 The first bedroom design visualizes by Andrii Ortynskyi. He really serious in making the comfortable retreat for couples. The dark and calm feeling is very interesting to lay in. 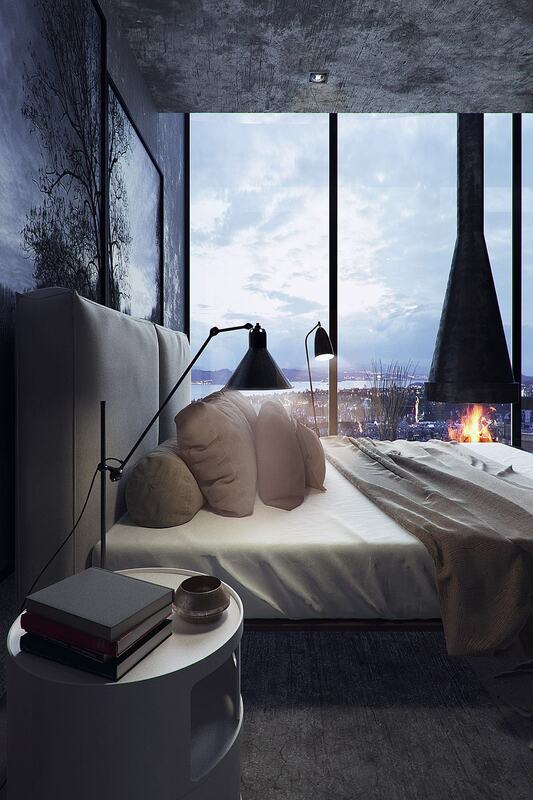 Couples would like to stay and spend their leisure time in this cool bedroom. The material that using it is very simple and easy to apply. The designer only uses the simple tile for the ceiling, floor, and wall. That is why this room looks very quiet and cold, you need a little bit of hug before going to sleep here. The large window that focusing to the outdoor view is one of the ideas to create a romantic feel. You can enjoy the view with a cup of coffee and be talking about your sweet memory. Adding the small fireplace with the traditional design also suitable for its room. 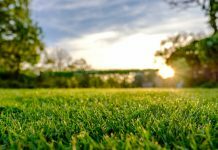 It can help to make the atmosphere warmer. The second bedroom themes are very nice for couples. 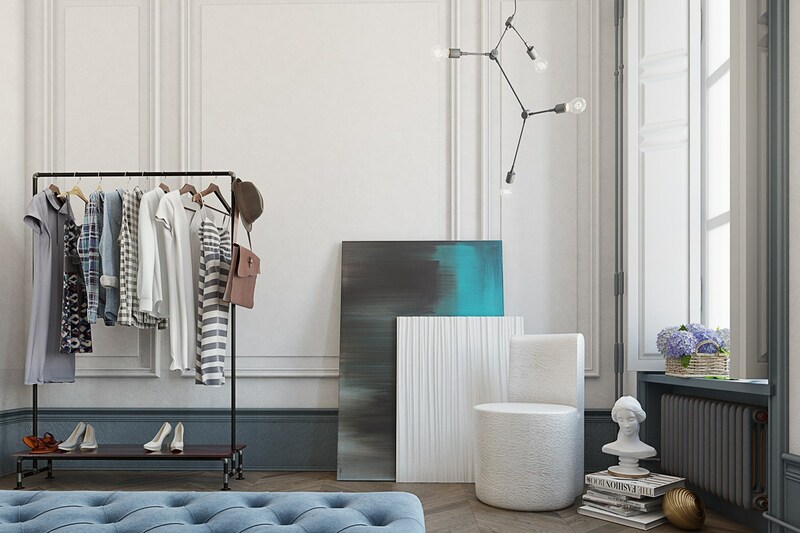 The designer combining blue and white color in this room. Actually, its space describes the luxury bedroom that can spoil their author. Why do we call it as a luxurious bedroom? Because that is a nice arrangement of the features and furniture there. Both of them are working in harmony. 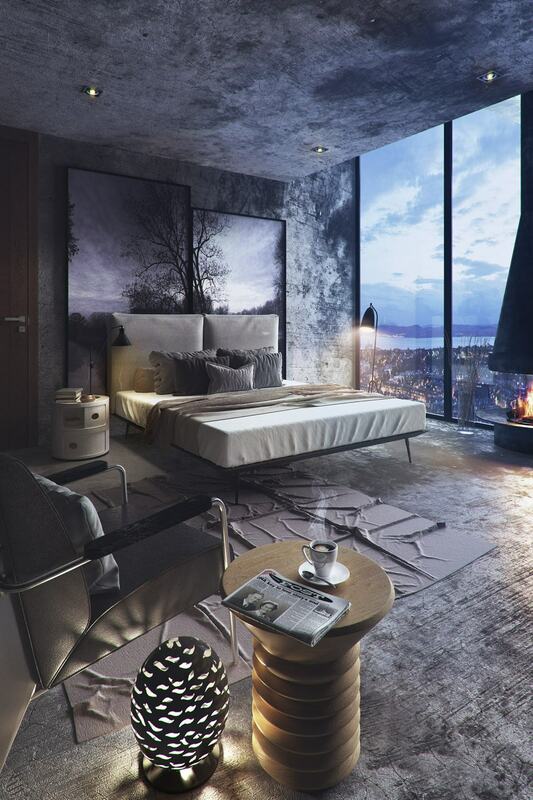 You can see the wooden floor and artistic lamp design that would make couples feel like as a king and queen. Any features here are soft and smooth like a sunshine from the window. The stylish bedroom design would be more beautiful with the gorgeous bedroom bathtub and the window design that directly view out of the house. 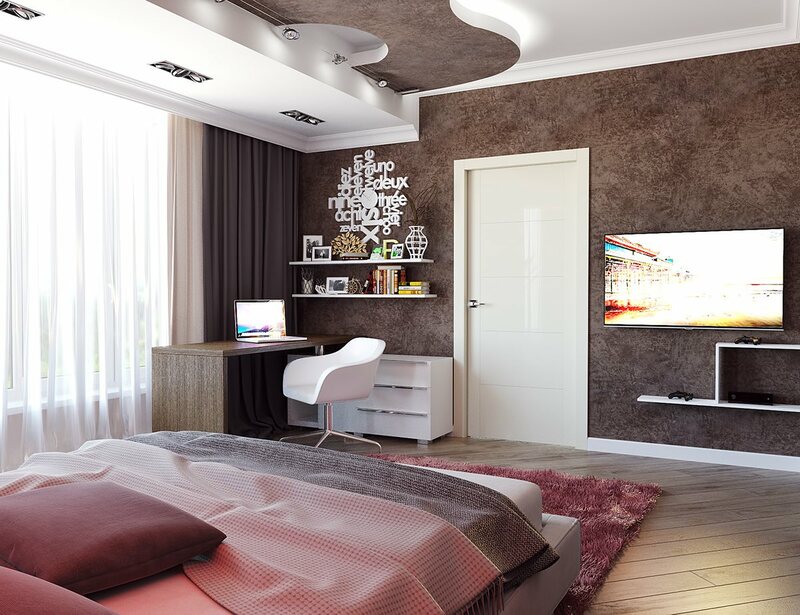 Everyone know that modern interior designs ideas never die! that is very suitable for any kind of space. 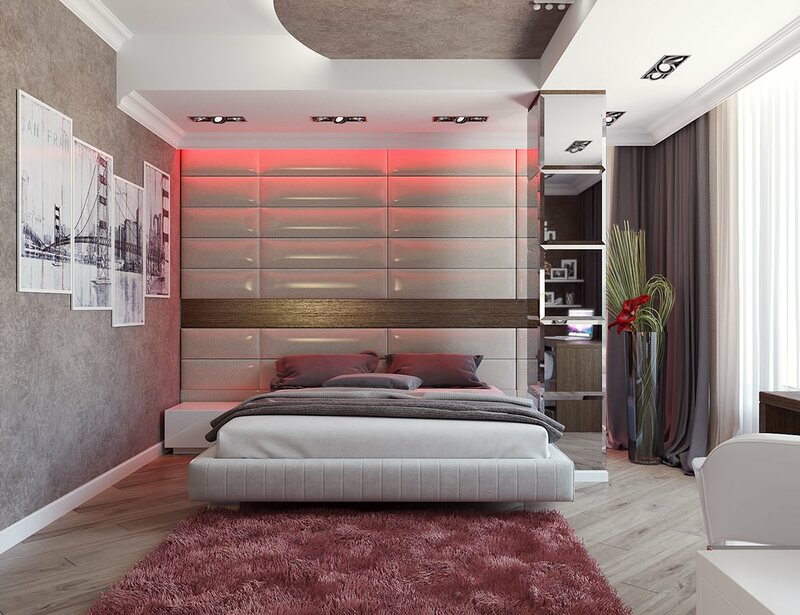 The last bedroom themes were designed by using red pattern in each space. You can use your favorite thing as a decoration for your room. 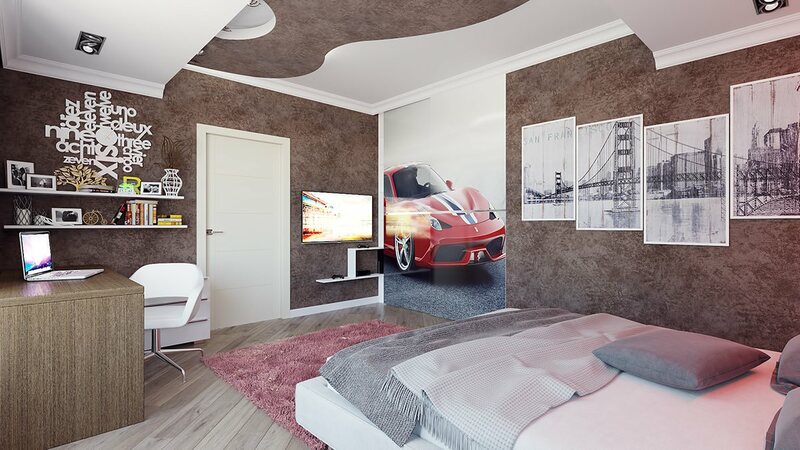 For example, the designer uses a car as a wall decoration that successful creating cool bedroom ideas. 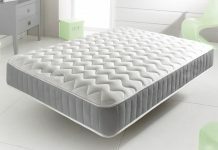 It also suitable to create a romantic feel when the night come and feel energetic in the morning. Decorating your workspace is one of the interesting activity that couples can do. 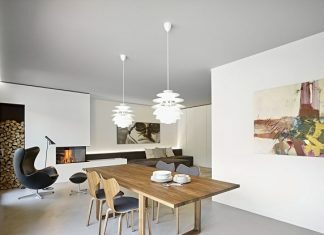 The modern interior design is better than the other ideas, why? because that is easy to apply and clean. 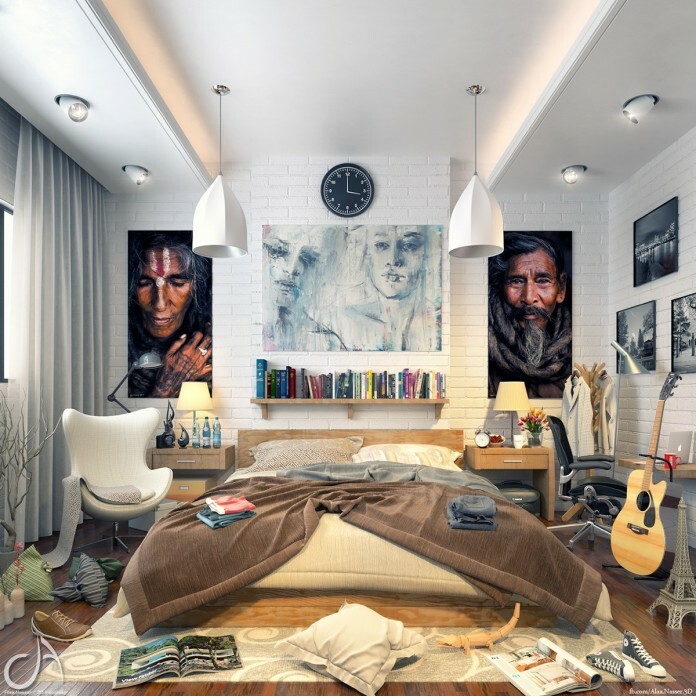 The stylish bedroom design would come from the creative person that can maximize the room’s potential.